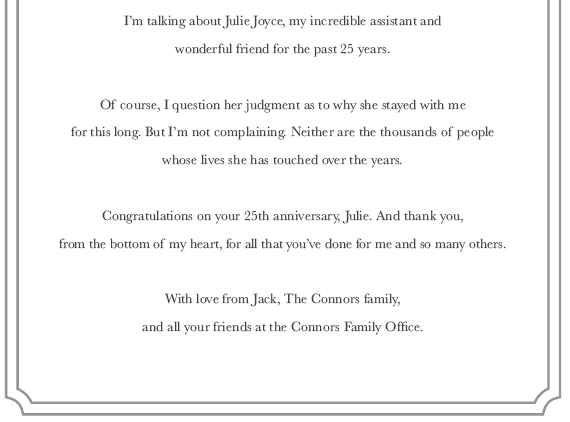 Fact #1: Jack Connors – former Hill Holliday and Partners Healthcare honcho – is wired like Con Ed. 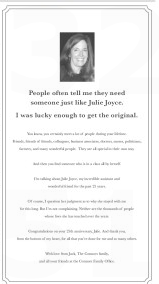 Fact #2: Connors ran this ad in Thursday’s Boston Globe, celebrating the 25th anniversary of his consigliere Julie Joyce. 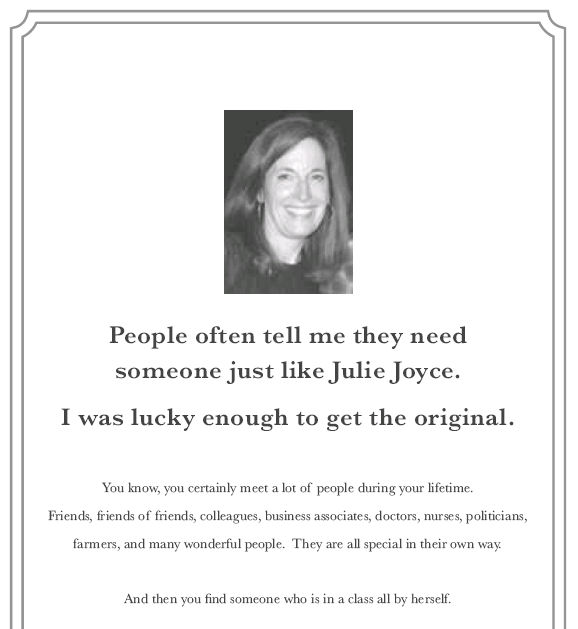 Fact #3: Julie Joyce is now wired like Con Ed.